As far as size is concerned, Vermont is among the smallest states in our great nation, coming in at number 45. Despite its minimal land area, the Green Mountain State packs a vast array of opportunities inside its close-knit boundaries. Whether you’re looking to enjoy the state’s world-famous skiing or build a new life courtesy of one of its many agriculture-based industries, you won’t find a better way to travel than a private jet charter in Vermont. At Stratos Jet Charters, Inc., we lead the industry when it comes to charter flights in Vermont. We’re the all-inclusive connection for your travel plans. Call us at (888) 593-9066 or fill out the form we’ve provided for a free quote, and let us show you the Stratos difference. Since opening our doors in 2006, we’ve gained a great deal of insight into what people expect of their charter flights in Vermont. We continuously strive to not only meet, but exceed their highest expectations. Each client’s needs are unique, and we welcome the challenge of fulfilling those requirements. We have access to a network of more than 5,000 privately owned aircraft available for charter, so we’re fully equipped to find the right one for you. All these elements and many others come together to help us find the best choice for your private jet charter in Vermont. From turbo prop planes perfect for a short flight for two to airliners with customizable interior layouts, you have a wealth of options at your disposal. Once we pick out the right one, we’ll book it, so it’ll be waiting for you when you need it. Size, capacity, speed and comfort are all important factors and elements we seek out for every flight we broker, but they’re secondary to safety. 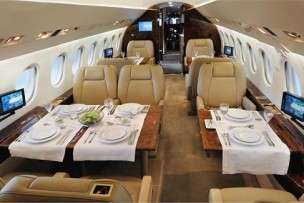 Every aircraft in the private charter network is subject to the most stringent of standards. Only those approved by ARGUS International, the leader in aviation safety, are eligible to transport our clients. When you come to us for your private jet charter in Vermont, you can rest assured you’ll be flying in a plane with up-to-date maintenance records and no history of incidents. Your trip support specialist will arrange for two pilots to be on board manning the controls during your flight. We handpick each one from a short list of ARGUS Gold Certified pilots, meaning they have at least 3,000 hours of flight experience, no history of accidents and no major FAA actions against them. This type of exemplary track record combined with the requirement to undergo annual recurrent training ensures you’re in the safest and most highly qualified hands during your charter flight in Vermont; we guarantee it. On top of all that, our industry insists charter aircraft owners maintain liability insurance. Standard regulations amount to $25 million in coverage per passenger. We take this to the next level with an additional $25 million policy of our own. When you place your faith and fate in the hands of a charter broker, you want to know it’s a business you can trust. We take great pride in being such a company. We’re among the few to become ARGUS-certified brokers and are Wyvern-approved. This means we’ve proven our ongoing commitment to client satisfaction as well as our in-depth knowledge of our industry. It also speaks volumes regarding our dedication to safety and best business practices. We’ve received a consistently high rating from our clients along with an A+ with the Better Business Bureau. As members of the Air Charter Safety Foundation, we’re wholeheartedly committed to implementing and promoting risk management programs as well as constantly aiming to set the bar higher for our industry. Stratos is likewise a member of the Air Charter Association of North America, further backing our adherence to professionalism and service. When you book your private jet charter in Vermont through us, your satisfaction and safety are our top priorities. Once a trip support specialist has been assigned to your travel plans, you’re free to place all your needs in his or her hands. We combine local knowledge, national connections and thorough understanding of the industry to fulfill all your requests. From a crew of carefully selected flight attendants to finding a show to attend once you’re on the ground, no detail is beyond the reach of our team. Burlington: From the shops and dining of downtown to the boating, fishing and lighthouses of Lake Champlain, Burlington gives you a wide range of business and recreational opportunities. Essex: Whether you prefer the heart-racing experience of zip lining or the relaxation of Vermont’s premier culinary resort and spa, Essex is the place to be. Rutland City: With the highest solar capacity per capita in all of New England, Rutland is certainly making a number of headlines; not to mention, it’s a hot spot for art, culture, nature and socializing. Montpelier: As the state capital, Montpelier offers any number of options for locals and visitors to enjoy. Though you won’t find a McDonald’s here, you will find plenty of museums and chances to relish its natural beauty. It’s also America’s largest producer of maple syrup. Feel free to browse our directory for further details as well as runway and FBO information and airport codes. 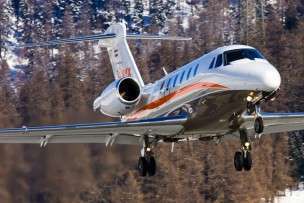 Then, contact Stratos, and let us help with your private jet charter in Vermont. Search our Vermont airport directory for airport codes, runway information, available charter aircraft and FBO Information as well as empty leg jet charters in Vermont.